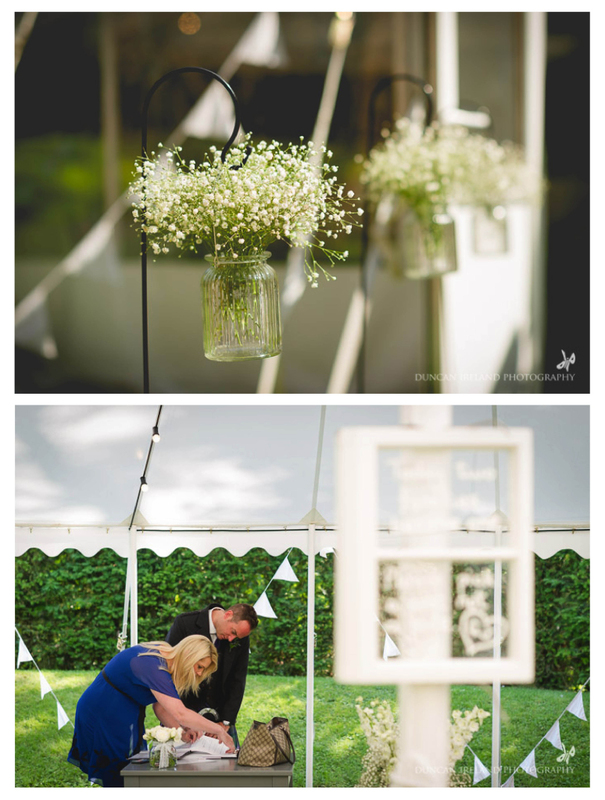 Joanne & Gareth were married on 18th July at Jupiter Artland, and hired a marquee from Lowland Marquees. They were planning their wedding for 6 months. 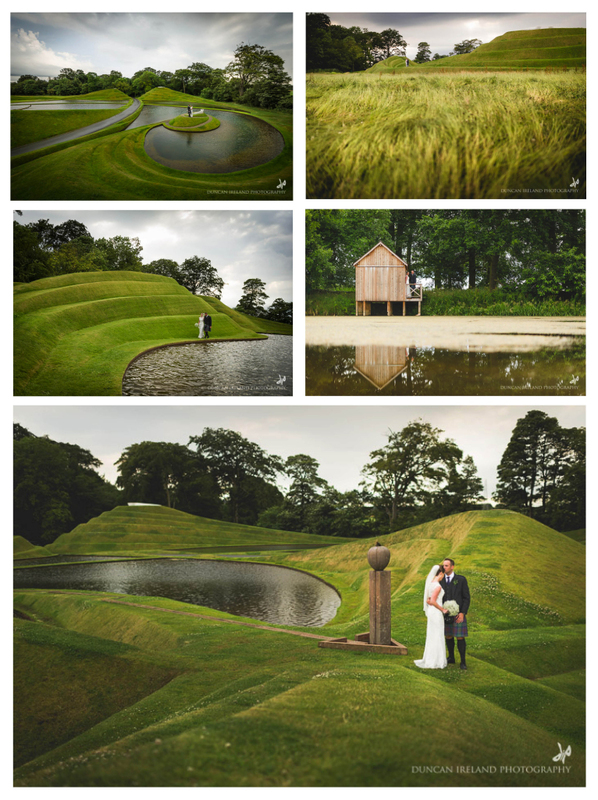 Big thanks to Duncan Ireland Photography for providing the images and the lovely Dee from Jupiter Artland for submitting this wedding. "Jupiter Artland is a spectacular estate that presented something a little different than we had seen anywhere else." Jo's favourite part of the planning process was taking their photographer Duncan around the venue and realising the amazing scope for photos. Gareth was a pro-active groom, "He had an input into almost every aspect and got involved in helping me pull all the little details together." 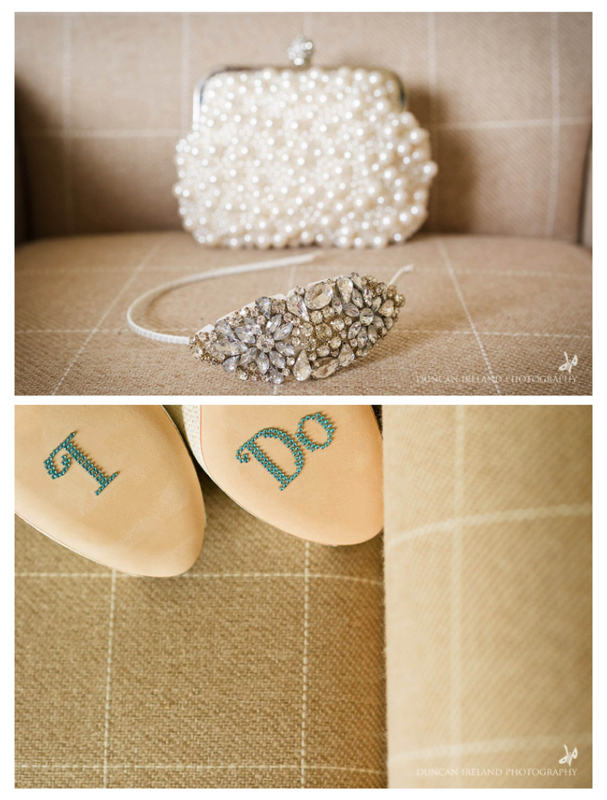 "My wedding dress was the very first one I saw online when I started looking. Unfortunately there were no stockists in the UK so I took a chance and ordered a similar dress online from China. I could not have been happier! It was high necked with lace back detail and a little fishtail." "We had a Humanist ceremony, we’d never been to a Humanist wedding before and everyone commented on how personal it was. The setting was so special and intimate." "We did lots of different little bits and pieces. We sourced milk churns for floral displays, created a gypsophlia aisle, personalised a pallet with the itinerary, made tree slices for our centre pieces, did some floral arrangements for the drinks reception and sourced personalised wooden heart confetti." Jo's pretty flowers were by Lilium in Edinburgh. "Putting it all together as a couple made it equally as special to us both as we’d both put in as much effort as each other and had a few laughs (and tears!) along the way trying to pull it all together!" 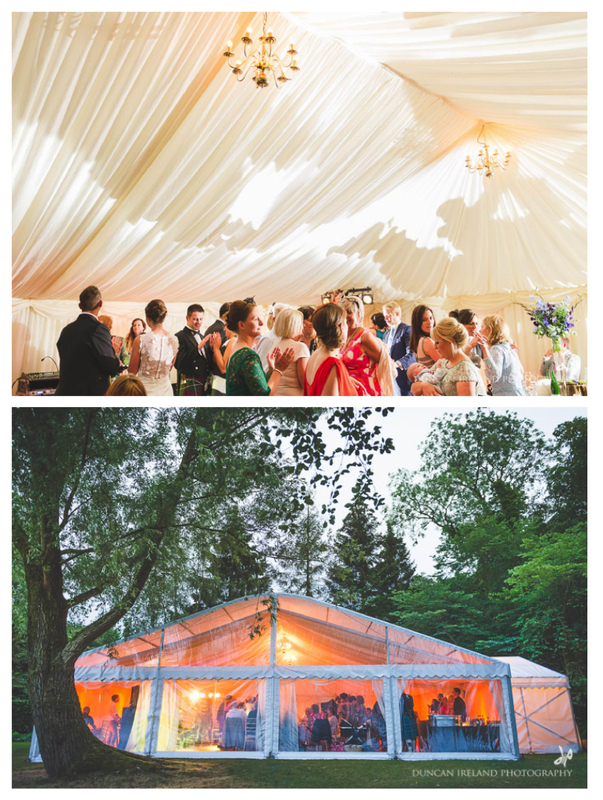 The clearest memory for Jo was the evening with the marquee all lit up among the trees and the citronella candles burning a path down to it. "And who could forget the rain!" Jo and Gareth had music from The Emerald Thieves. Big thanks to Duncan from Duncan Ireland Photography for sharing his gorgeous photos of the day! You can catch Duncan on his website, e-mail him or Facebook.